The dangers of radon gas have long been an issue facing central Ohio residents, and given the nature of the geology of the area, it will always be a danger to communities. 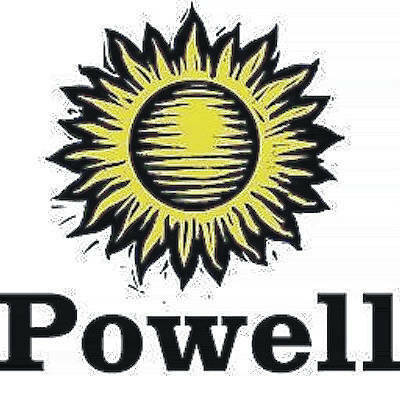 At Monday’s Powell City Council meeting, an appendix was discussed that will require all new residential and commercial construction to include radon control methods as part of the International Residential Code (IRC). Currently, several communities in central Ohio, including Dublin, Pickerington, and all of Union County, require radon control methods to be included in all new residential and commercial builds. Radon is an odorless, colorless gas that can only be detected through specific testing. The gas is the second leading cause of lung cancer, behind smoking, and those who smoke face an increasing amount of risk from the gas. Councilman Brendan Newcomb said he originally brought forward the resolution after reading an article featuring two oncologists from The Ohio State University who talked about radon being the leading cause of lung cancer in non-smokers. Newcomb said the radon emitting from the ground is due, in large part, to the high amount of granite and shale found in the soil around central Ohio. According to the National Cancer Institute (NCI), it is estimated that 15,000 to 22,000 lung cancer deaths in the United States each year are related to radon. Council discussed two types of control methods: a passive system and an active system. A passive system means nothing more than penetrating the basement slab and inserting a pipe — typically PVC — and running the pipe through the walls, up and out of the roof of the home. Active systems include a vent fan and, typically, a system failure warning device. Newcomb estimated installing a system to an already existing home would cost around $1,000. Mayor Jon Bennehoof said most passive systems he has seen run up the side of the house rather than through it, and that the cost of installing such a system would cost well under $1,000. What type of system will work best for a particular home depends on the radon levels. Testing the home first is critical in deciding what to install. A passive system might be sufficient for homes that contain low levels of radon, but a passive system probably won’t be effective enough to lower the levels in homes that typically contain higher levels to the EPA-recommended 4.0 level. There are both short-term and long-term radon tests available. Short-term detectors measure the radon levels for up to 90 days, while long-term detectors extend past 90 days. The NCI recommends long-term testing for a more telling reading of average levels due to the various factors that can impact daily levels, such as rain, snow and barometric pressure. Newcomb pointed out the time of year in which the testing is done will naturally impact the readings due to the lack of circulation in the colder months compared to spring and summer. Powell City Manager Steve Lutz said that under the IRC, new builds must also have a 110-volt electrical outlet installed near the top of the house to accommodate an active system in the future. The resolution will be discussed further and potentially voted on at the next council meeting on Tuesday, June 19.